BEIRUT: The braided scars wrap around Khaled’s wrists, up his arms and are clearly visible snaking up above the collar of his shirt. Just 10 years old, Khaled has suffered daily for the past four years since he fell into a pot of boiling water that sat on the floor of his house in Qusair, a town near the Syrian-Lebanese border. After the injuries healed, leaving visible scars,his arm was constricted into a bent position and the tight skin that formed across his back forced him into a hunched position. “They run away from me at school when they see the scars,” Khaled whispered. 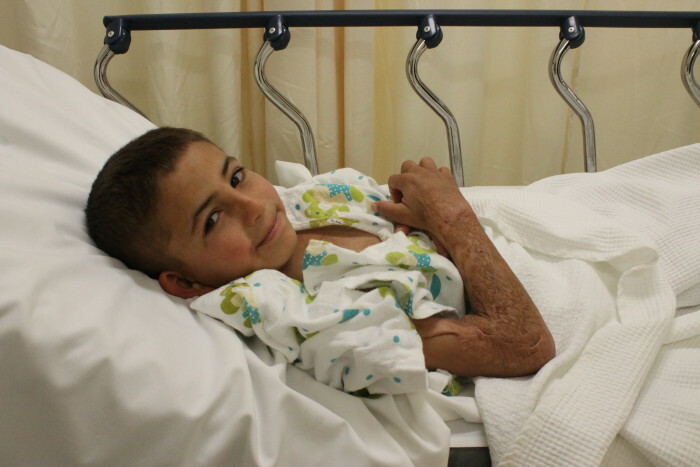 Khaled is just one of hundreds of Syrian burn victims living in Lebanon who suffer the long-term effects of the severe burns, the majority of whom are unable to access treatment. Serious burns are extremely life threatening at the time of the incident, and without immediate hospitalization can result in death. But the long-term effects of the scars can be debilitating without ongoing treatment. UNHCR, the U.N. refugee agency, said that within Lebanon’s Syrian refugee community it sees around five new burn cases a month that need hospitalization. This number rises considerably in winter as refugees in poor-quality housing try to keep warm and cook in cramped conditions. He has received the treatment thanks to International Network for Aid, Relief and Assistance, which provides life-saving and life-altering medical care for children from conflict areas. It is working with AUBMC to make sure Syrian burn victims, especially children like Khaled, can access the medical care they need. “This is a huge problem in Lebanon and I’m afraid we keep coming across again and again,” Sofia Karim, program manager at INARA, told The Daily Star. Many victims don’t come forward for care, unaware that options are available. INARA aims to treat the life-debilitating effects of burns like Khaled’s, unlike UNHCR and Lebanon’s major health providers who focus on life saving intervention. INARA is one of only a few agencies that treat burn scarring. “These kids are missing out on a quality of life, they can’t go to school, can’t integrate,” Sam Gough from INARA told The Daily Star. He added that the mental and physical effects on children was what prompted them to act. During the first few years of the violent civil war in Syria, Lebanon saw a large number of patients cross the border with injuries as a result of fighting. However, as time has dragged on, an increasing number are being injured as a result of poor living conditions, explains Dr. Ghassan Abu-Sittah, head of plastic and reconstructive surgery at AUBMC. Of the 15 Syrian burn victims that INARA is currently working to treat, 11 were injured as a result of poor housing conditions. “As the refugee crisis turned into a chronic state, you started seeing injuries, particularly in children, as a consequences of poor housing,” Abu-Sittah said. “People are living in cramped, unsafe conditions where the kitchens and the living quarters are one and the same.” He estimated over 80 percent of his cases are children. Abu-Sittah said he is still coming across old war-related injuries from Syria. Scars that have hardened over time are particularly difficult to treat, he explained. “Burns are the worst kind of scar that you can have. If that goes across a joint then it will be inelastic; it’ll contract so the joint will not move freely.” This is exactly what happened to Khaled. Treatment and acute ongoing rehabilitation is costly. INARA spends an average of $4,800 on each case, but complex surgeries can rocket to over $30,000. In recognition of the costs involved, on March 19 UNHCR expanded immediate health coverage for Syrian burn victims to 90 percent of hospitalization costs, said UNHCR spokesperson Lisa Abou Khaled. The worry was that without the expanded coverage, people would not seek treatment or leave hospitals early over fears of high medical bills. On top of the costs of treatment, finding specialized care is also a challenge. Dr. Bilal Kassem, Doctors Without Borders’ head of medical activities in the Bekaa Valley, said that while they treat several burns a week in their clinics, major cases – those covering 40 percent of the body – have to be referred to specialist care. Lebanon has only one large dedicated facility for burn treatment in Geitawi Hospital in Beirut and another small unit in Nabatieh. Many patients, both Lebanese and Syrian, have limited access to specialists. Abu-Sittah explained that many of the most-severe-burn victims simply don’t survive the first 48 hours after injury. The debilitating effects of burns can affect the victims much more than just physically. Khaled said the kids still feared his scars, but he can play now. Despite treatment opening up for the physical impact, it is only the beginning of a long process to overcome mental scars. 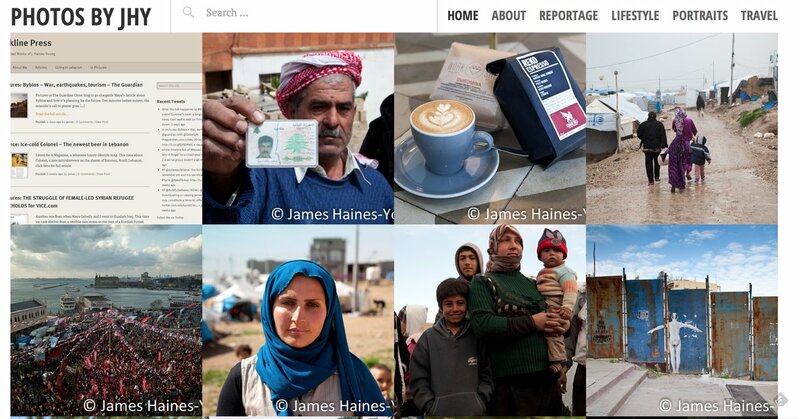 Tags: Burns, Daily Star, INARA, medical, refugee, surgery, syria, and victims.